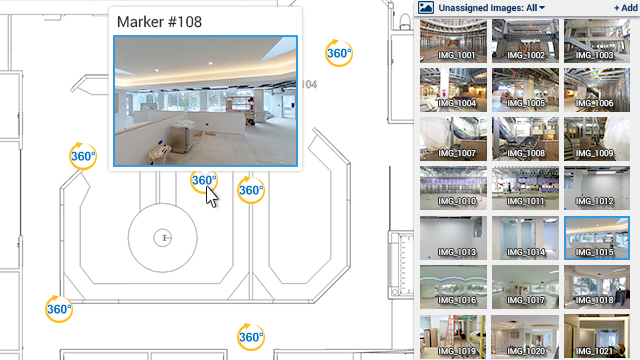 The VR Site Tour images will automatically configure into a virtual walk through within Control Center 8, so the entire project team can view and experience the complete jobsite remotely from their office desktop. Using EarthCam's IPS technology, photos captured via the app are automatically organized by location within architectural site plans. 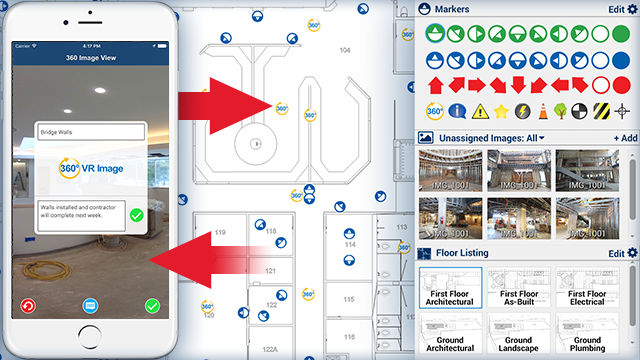 Additionally, you can drag and drop existing images within your Control Center 8 online dashboard to your site plan markers for a complete visual history of interior progress. Add notes, tags and flags to your uploaded images for efficient search and filtering purposes. 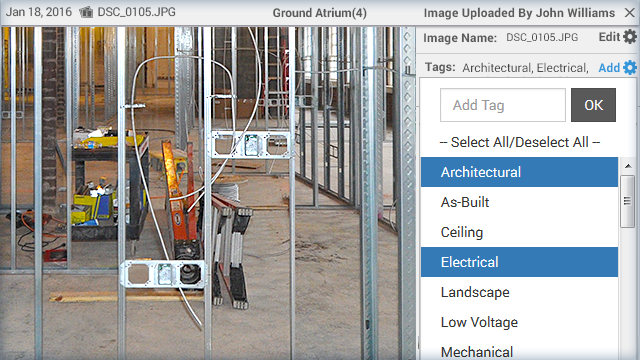 Assign tags to each image, such as mechanical, plumbing or structural. You can also highlight certain images by assigning a colored flag (red, amber or green) to indicate an urgent issue or mark an important milestone. 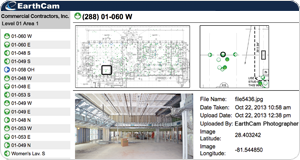 Search, filter and view only images marked with those specific tags and create an online punch list for quick analysis and progress reports. With user-friendly editing tools, it's simple to mark-up any of your images to call-out a specific area of interest and share with colleagues. 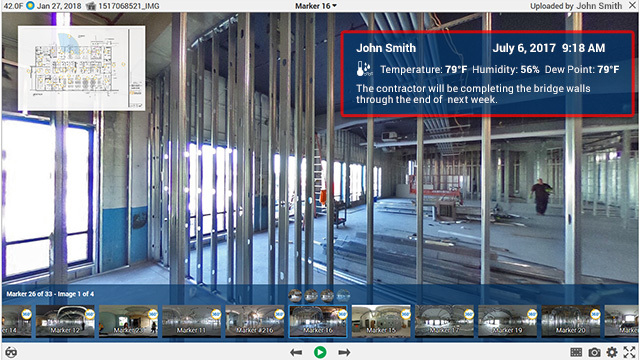 All markers and jobsite images are uploaded from the app to EarthCam's Control Center 8 software for effective project management. Markers and photos can be managed in more detail using the tools provided in the online dashboard. Save, email and share images in real-time with team members. 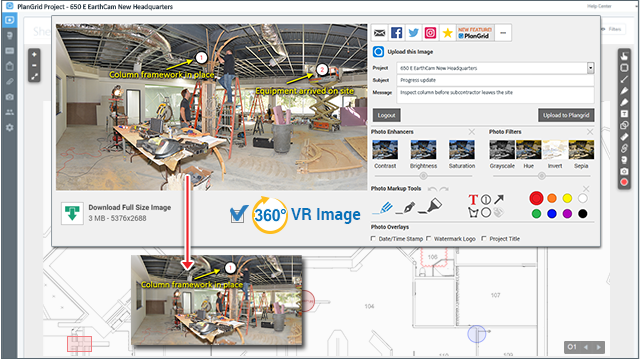 With easy-to-use markup tools, highlight specific areas of the jobsite and add text to share observations on captured images. Share "beauty shots" of your project as a marketing tool on social media. PlanGrid and EarthCam have partnered to integrate construction camera content into site plans for effective project management. Through the strategic partnership, PlanGrid is now able to offer customers the highest-quality webcam imagery in the industry to document important construction projects and track progress. 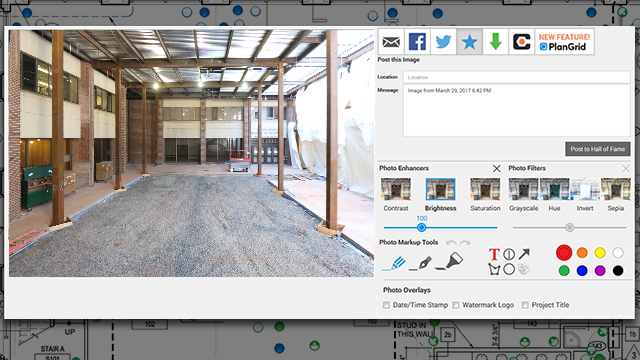 PlanGrid users have the ability to link live photos or archived images directly to drawing plans for an up-to-date view of their projects. 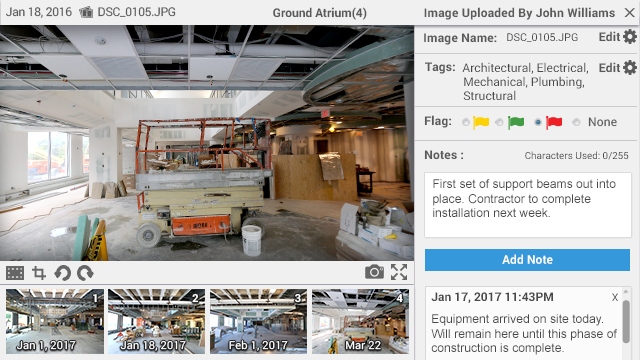 With EarthCam mark-up tools, users have the option to call out specific areas of interest directly on the 360° images and then upload to the “attachments” section of PlanGrid for instant sharing and collaboration. Every EarthCam client receives a comprehensive End of Project digital file once their job is complete. The report includes all of the floor plans, marker data, images – including notes and tags – and historical weather data collected throughout the duration of your project. Access the information to navigate through the entire jobsite, export images at full resolution and quickly find specific details. with EarthCam's Control Center 8 software and to order your 360° Camera Kit. Want to let us know what you love about our app or have suggestions for future updates? Please contact us.